View of American Oysters (Crassostrea virginica) washed up on a beach somewhere on Long Island. 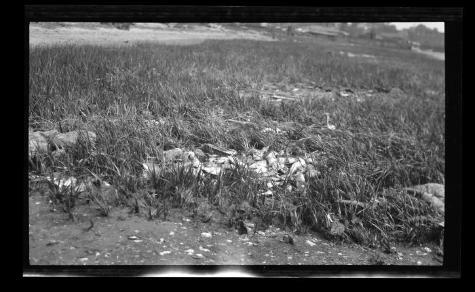 During the early 1900's, the state began to cultivate oysters after over fishing and pollution lead to their decline in the wild. This image was created to record the Conservation Commission's efforts in the Long Island shell fisheries. Source: New York State Archives, New York (State). Conservation Dept. Photographic prints and negatives, [ca. 1904-1949], 14297-87_4252.